Crumbling buildings and ilthy roads at Tiretta Bazar -or Old Chinatown -bear evidence to the depleting fortunes of the Chinese community n the city. But behind those closed doors lie a secret the community so proudly cherishes. The shabby build ngs with a `falling-apart' look and feel house some of the historic churches of Kolkata. 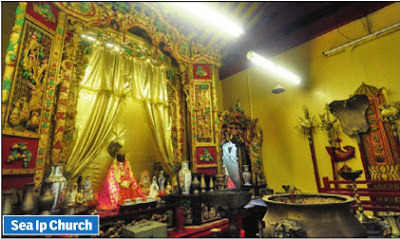 Step inside and the regalia, incense sticks and intricate altars will give you a feel of the Chinese tradition. The fact that KMC and the tourism department have joined hands with a Singapore-based organization to revive Old Chinatown has come as a shot in the arm for the community . They are happy hat these churches, which were originally established in the 19th century and then rebuilt in the early part of the 20th century , will get restored. 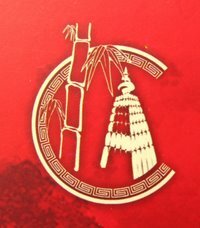 The Indian Chinese Association has appealed to the project co-ordinators hat the revival project should centre around the six churches (they were orig nally temples but later got converted to churches as most of the Chinese people embraced Christianity) that the community is guarding so dearly for so many years. While the project so long centred around the Toong On Church and the famous Nanking restaurant that it houses, now five churches have also come into focus. A visit to the churches is an experience in itself. Take the case of the Namsoon Church, for example. It's the oldest of the six. It was established in 1820, almost immediately after the Chinese settlers abandoned Atchewpur near Budge Budge. Located at the far end of the snaky Damzen Lane, you will easily miss it. But the church, dedicated to Kwan Yin, the Chinese Goddess of War, has a magnificent altar complete with an intricately carved roof hanging. There are three more churches on the same lane. 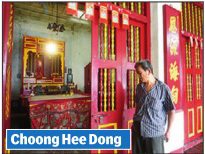 Choong Hee Dong Thien, built in 1859, is in a sorry state but the deity, Kwan Kun, believed to be the God of Fortune, is still maintained and worshipped by the community . 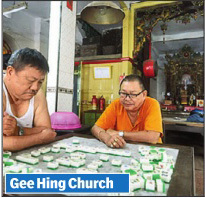 The Gee Hing Church was originally built in 1888 but it reached such a dilapidated state that the community rebuilt and relocated it in 1920 to its present location on 13, Blackburn Lane. Even that is in a sad state now, though the members of the community regularly visit for prayers and offerings there. “Times are tough and you hardly find time to hang around as regularly as you did earlier. But we still try to meet up for our board games of Chinese Pair, after prayers as frequently as possible,“ said Chang Yu Sen.
“Our tradition lives in these church es. It reminds us where we belong and the culture and tradition of that place.We cannot relate to the changes that have come over China today , so we guard these altars to remain close to our roots.Today many of us might have become Christians but we have not lost touch with Buddhism, Taoism and Confucianism that bind us,“ explained Paul Chung, president of the Indian Chinese Association. 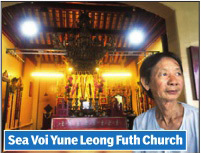 The other three churches -Sea Ip Church, Sea Voi Yune Leong Futh Church and Then Hane Miaw -too are crying for attention despite devotees' best efforts at maintaining them.